After hatching out a battle plan with Admiral Bill Johnston, William Lyon Mackenzie, and other Patriot leaders at the Eagle Tavern in Buffalo, General Donald McLeod departed that city January 18, 1838. His mission—take an army and attack Canada near Windsor to draw British attention to the western front. Donald McLeod (January 1, 1779-July 22, 1879) came to the Patriot war at 59 with more war experience than any other Patriot officer. Born in Scotland, he joined the British Navy in 1803 and switched to the infantry in 1808. He fought several battles against Napoleon, including at Waterloo. As a sergeant in the War of 1812, he served at Lundy’s Lane, Queenston Heights, and Crysler’s Farm—three pivotal battles for colonial Canada. McLeod left the army and settled in Prescott where he continued his life as a loyal citizen. He became a militia major, a school teacher, and publisher of a newspaper that championed political reform. Days after Mackenzie's attack on Toronto in December 1837, a "Tory mob," as McLeod put it later, trashed his printing office as a warning. He fled to the US. Angry at his treatment, McLeod traveled to Buffalo and joined Mackenzie's border war. So, less than two months after fleeing Prescott, McLeod found himself as a Patriot general leading 500 men 500 miles through nasty winter weather. Aside: Among his men were several who would later take part in battles to come, including Lester Hoadley, Robert Marsh, and Benjamin Lett. On the second day of their hard march, a US colonel and his company of troops confiscated all McLeod's weapons and supplies to enforce the US neutrality law. That law contained a huge loophole. Raiders broke the law only when they attacked Canada—preparing to attack Canada was not illegal. McLeod continued on, his army fed and housed by sympathetic country residents. On February 24, 1838, after more than a month of travel, McLeod led a nearly unarmed force of 300 men to Fighting Island, a marshy strip of Upper Canada land downstream from Windsor. McLeod's entire army had six muskets and one small field cannon mounted on fence rails. US General Hugh Brady alerted the British commanders in Upper Canada about McLeod's army, and the next day 400 well-armed British regulars and militia crossed the ice to meet McLeod's rebels. After a few rounds from their muskets and a single shot from their cannon (which flopped into the snow), McLeod's army wisely retreated to the American shore where General Brady waited to arrest them. US General Hugh Brady, one of the few American officials who tried to stop Patriot invasions of Upper Canada. Most of the men evaded capture. McLeod fled in disguise, even wearing woman's clothes for a time, but US soldiers captured him. A sympathetic jury soon acquitted him. McLeod was free long enough to help plan the raid on Pelee Island. In March, McLeod joined Dr. Charles Duncombe, and other Patriot leaders in Lockport. NY. They formed the Canadian Refugee Relief Association. On the surface, it looked like a philanthropic organization designed to help displaced Canadians. In reality, its mission was to raise funds for continued warfare against Britain's colonies. In April 1838, McLeod helped form the new Hunters Lodge. For a time this a secret society became the most powerful of the several groups opposing the British in Canada. 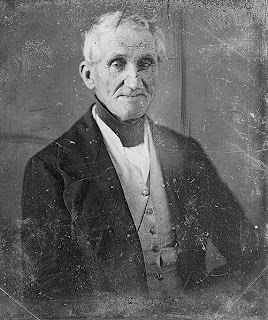 In September of 1838, McLeod attended the Hunters Lodge convention in Cleveland, Ohio. The delegates appointed leaders and planned invasions. McLeod became their Secretary of War. But his effective tenure was limited. The Hunters launched two more unsuccessful attacks on Canada in 1838. In the spring of 1839, McLeod and General Henry Handy planned a new series of raids on Canada, but none occurred. By 1840, a crackdown by US authorities on the various secret societies and hints of better government coming to Canada brought an end to threats of war along the border. 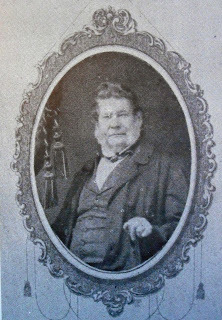 Britain pardoned McLeod and other Upper Canada rebels in 1846. He returned to Canada and took a government job. After retirement, he moved to Cleveland where he remained until dying in his 101st year.